You guys. You guys! 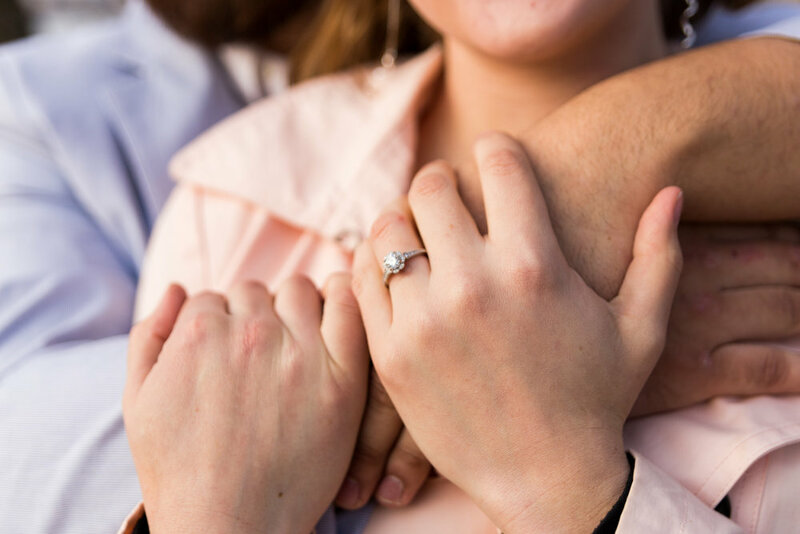 There are just some engagement sessions that are more than I could have ever asked for. Some couples that you click with instantly upon meeting them. 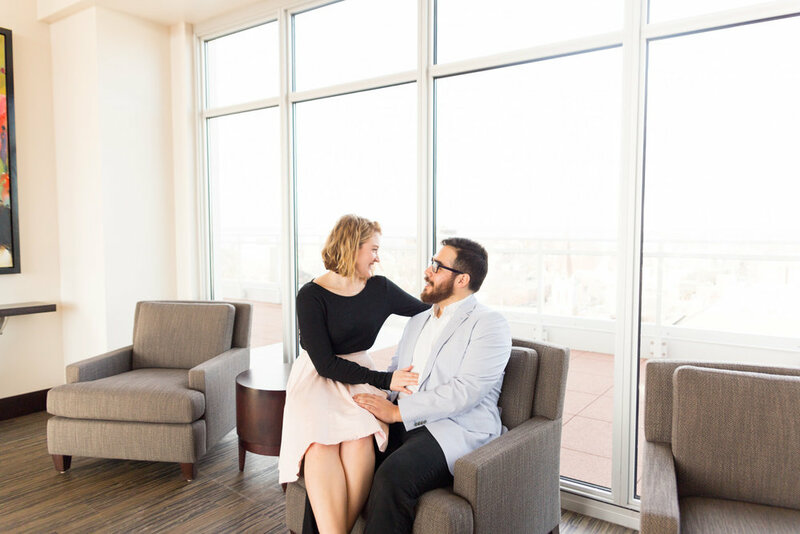 Carly and David are two of the sweetest, most genuine folks out there, and I got to photograph them being in love in their gorgeous apartment on the 11th floor overlooking Madison! That is exactly why I love my job and where I draw inspiration from. 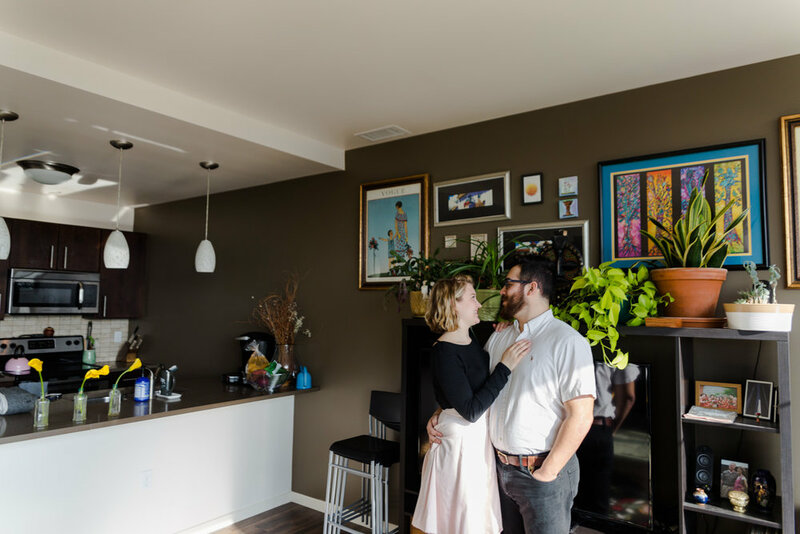 I'm still squealing over these photos (EEEEEP! See?) and it makes me that much more pumped up to shoot their wedding this summer. 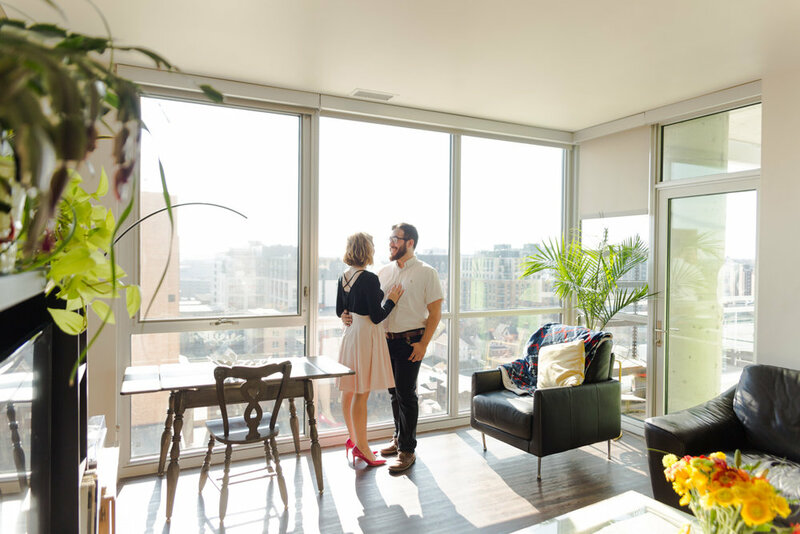 Carly and David invited me into their home and told me ahead of time that they had big windows that let in a lot of light. I didn't expect this much light and was thrilled to see sunlight pouring into every corner of the apartment. Another bonus was meeting their dog, Connor, who was cute and lazy and definitely wanted his photo taken. Heck yeah! 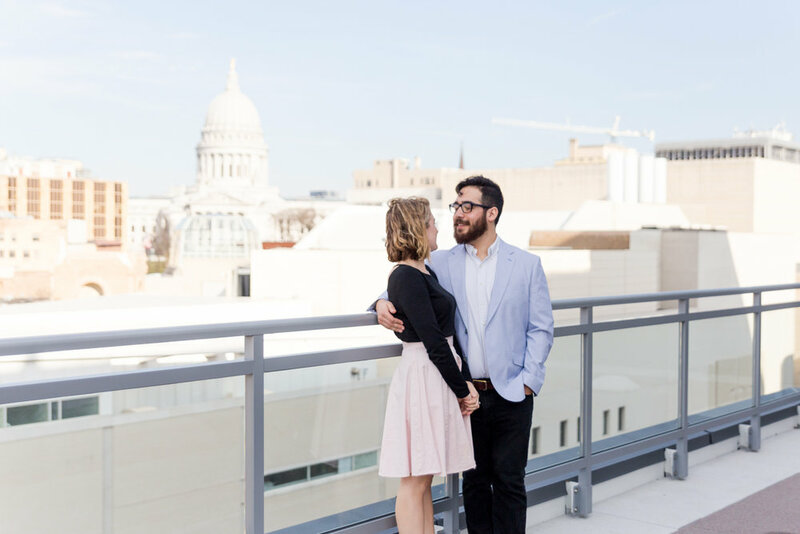 After doing some cuddly photos around the house, the 4 of us headed to the iconic Wisconsin state capitol building and took some photos in the area to get that recognizable Madison vibe. The sun was right where it needed to be and lit up Carly's hair perfectly! Our last stop was on the other side of Lake Monona to a park that had the skyline of Madison as a perfectly clear backdrop. It's easily the best view of the city from afar and we shot a few more photos before wrapping up. Madison has such a cool, relaxed vibe (especially on the weekends!) and it totally complimented Carly and David's fun but laid back personalities. 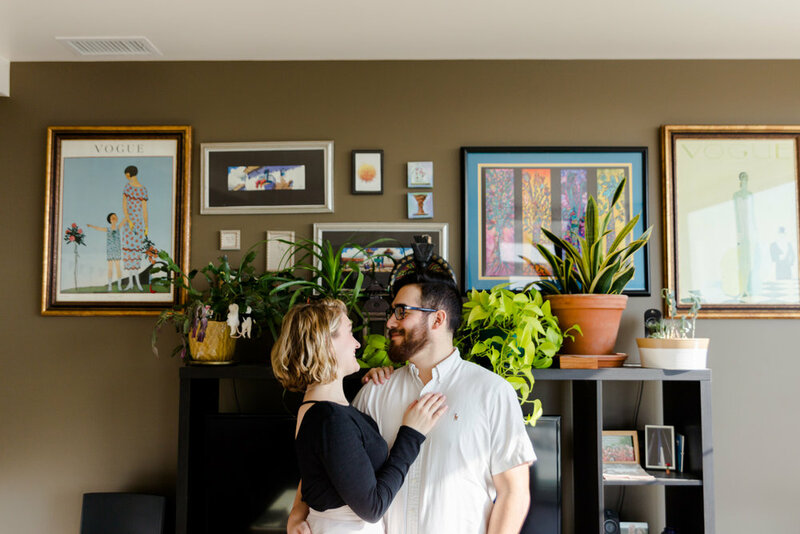 They're getting married in the Third Ward of Milwaukee, but getting to photograph them in their own home was such a blessing. Lots of photos from this one!